If the most magical place on Earth doesn't approve of something, you know it's got to be pretty annoying. 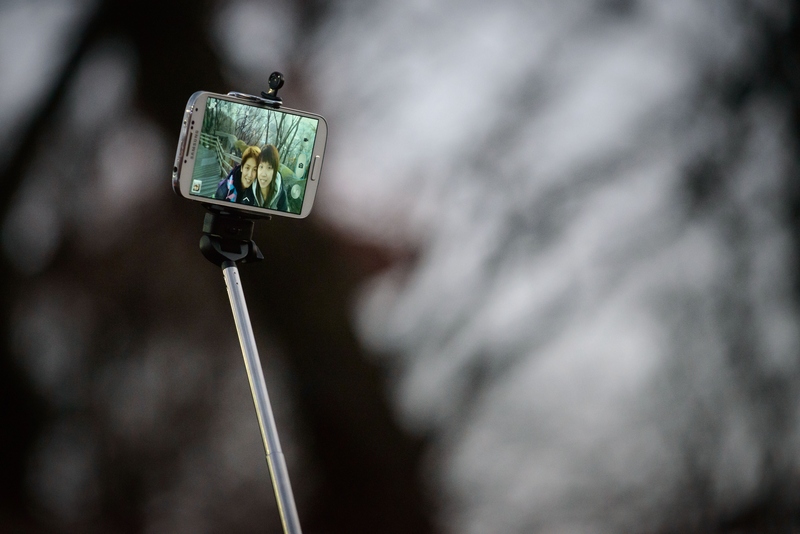 With that in mind, are you really surprised that Disney World has banned selfie sticks on rides? No? Then you probably won't be surprised either when you hear that the park has been forced to put up signs to that effect, because nobody is listening to them. What's more important, the safety of fellow passengers on Space Mountain, or the chance to get a seriously epic Instagram selfie? You'd think it would be the former, but clearly, that is too logical. Also, YOLO, amiright?According to the Orlando Sentinel, Disney World put up a sign declaring "No Selfie Sticks" at the Big Thunder Mountain Railroad in the Magic Kingdom, although the theme park has actually forbidden the sticks for a while now. A few weeks ago, workers were asked to remind people to put up their selfie sticks while they're on the rides. That went about as well as can be expected, i.e., nobody listened and everyone kept whipping out their three-foot phone extensions at every opportunity. According to the Sentinel, this is "exceptionally common" on Thunder Mountain, which is frequently forced to stop because someone's desire to take a selfie overcame their common sense. Before you start making fun of Florida, fun as that may be, you should know that it's not just Floridians who are guilty of the overpowering urge to document their faces — similar signs have been posted in California's Disney Land as well. <img alt="" src="http://31.media.tumblr.com/18804dfd987bcf0e9ea0c8b9c47fe352/tumblr_n5zprsA6mE1sxqyhyo3_500.gif" class="article-body-image"/>Not to be a cranky old lady, but come on, people. Is a photo like this really worth making some overworked Disney employee's day that much harder? The only acceptable answer to that question is no. Next time you're visiting the wonderful world of Disney, save your selfie sticks when you're in line to see Cinderella. What else are you planning to do for three hours in the blistering Florida heat?